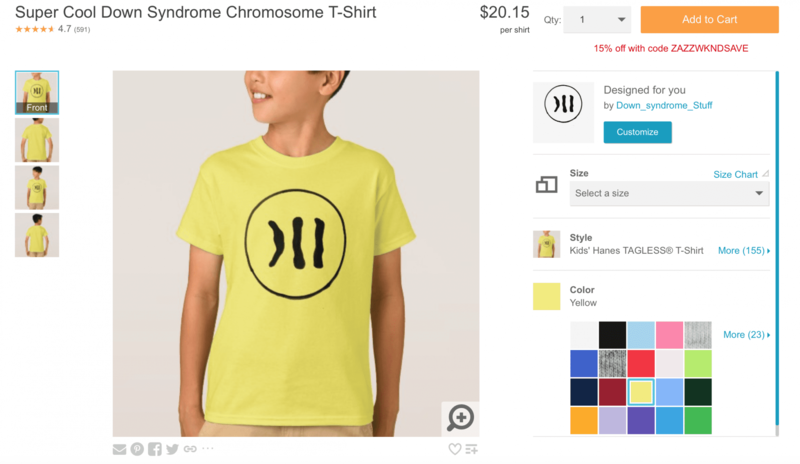 The Down Syndrome Chromosome T-Shirt Is Back! The Super Cool Down Syndrome Chromosome T-Shirt! The cool thing about making it on Zazzle is that you can customize your shirt. 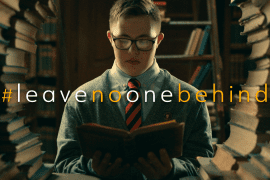 World Down Syndrome Day is coming up on March 21st – what better way to celebrate this day than to do so wearing the Down Syndrome Chromosome Shirt?! 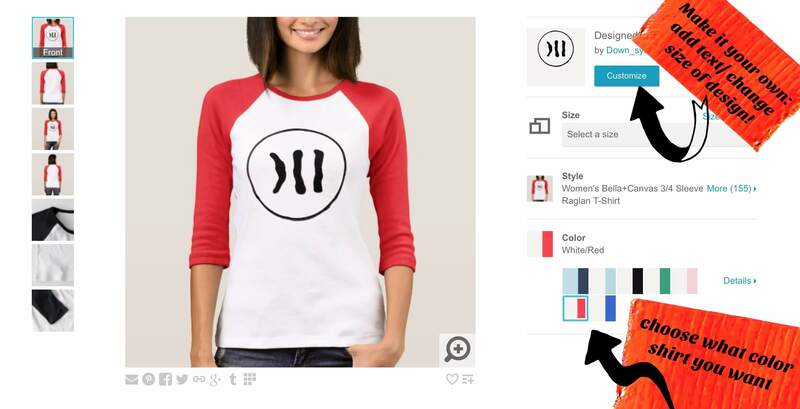 The Down Syndrome Chromosome T-Shirt is simply a t-shirt that has the actual third copy of the 21st chromosome on it. 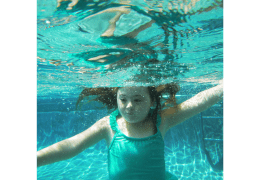 It’s what Down syndrome really is – Trisomy 21. Well, the full page looks like this, and I’ve highlighted the areas that allow you to customize your shirt! 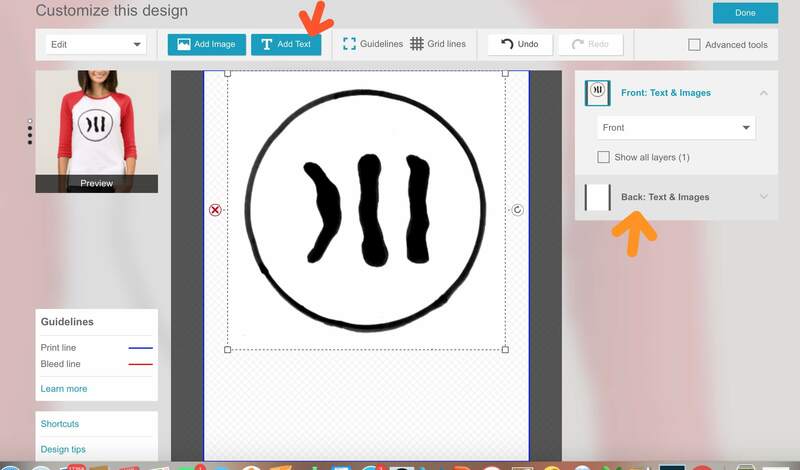 When you click on the “customize” button, it takes you to this page, where you can add text, change the size of the chromosome design (want it bigger? Smaller? no sweat!). So you could add “Happy World Down Syndrome Day” to it, “It’s Just a Little Extra” or “Hey! Cheetos!” – it’s your call. The kids shirts are simple tees, but also customizable AND with a huge color selection. Like the adult shirts, it seems like there are only white shirts for sale on the main shop page. Same goes for the baby onesies (so cute!) and everything else. Don’t forget about the mug.